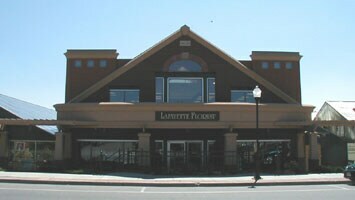 Lafayette Florist, Gift shop & Garden Center has been proudly serving Lafayette, Co. since 1949-family owned. Located in East Boulder County and serving Lafayette, Louisville, Boulder, Superior, Erie and Broomfield, we have everything for your floral and gardening needs under one roof. Our Florist has the largest walk-in fresh flower cooler in the region filled with daily specials. Come visit our gift showrooms, two floors overflowing with the newest trends in giftware and home decor. Plus, our Garden Center includes 68,000 square feet of retail greenhouses filled with quality plants and expert staff on hand. - Open Daily! All departments are open 7 days a week, year round to provide better service to our customers. - Call us 24 hours a day and speak to a professional floral designers, Master Gardeners, and the friendliest and most knowledgeable sales associates. These staff memebers are backed up with the finest management and sales support team in the industry. - Your Satisfaction is always 100% Guaranteed! Let Lafayette Florist & Greenhouse be your first choice for flowers. *Our shop is open from 8:30 a.m. to 7:00 p.m., Monday through Friday and from 8:30 a.m. to 5:30 p.m. on Saturday. Our shop will always be closed on the following holidays: Thanksgiving Day, Christmas Day, and New Year’s Day. On 4th of July, Shop will be open from 10:00 a.m. to 5:00 p.m.
Garden Center - quality plants. Expert garden professionals and on-site growing staff. If you have any questions or need more information, please contact us directly at (800)665-0771. We're always here to serve you and make your flower-sending experience a pleasure. We deliver to Lafayette, Louisville, Superior, Broomfield and Erie for 11.99. Limited Sunday delivery for 19.99. Please call us for details. Delivery for out of our areas is 11.99 plus 6.99 relay fee.